For example, last month the group’s vice president and associate chief counsel for regulatory compliance published a lengthy report outlining what he called the “cannabis conundrum” that bankers in an increasing number of states now face. And over the summer, the ABA Banking Journal’s podcast featured an interview on the topic with the head of the Colorado Bankers Association. 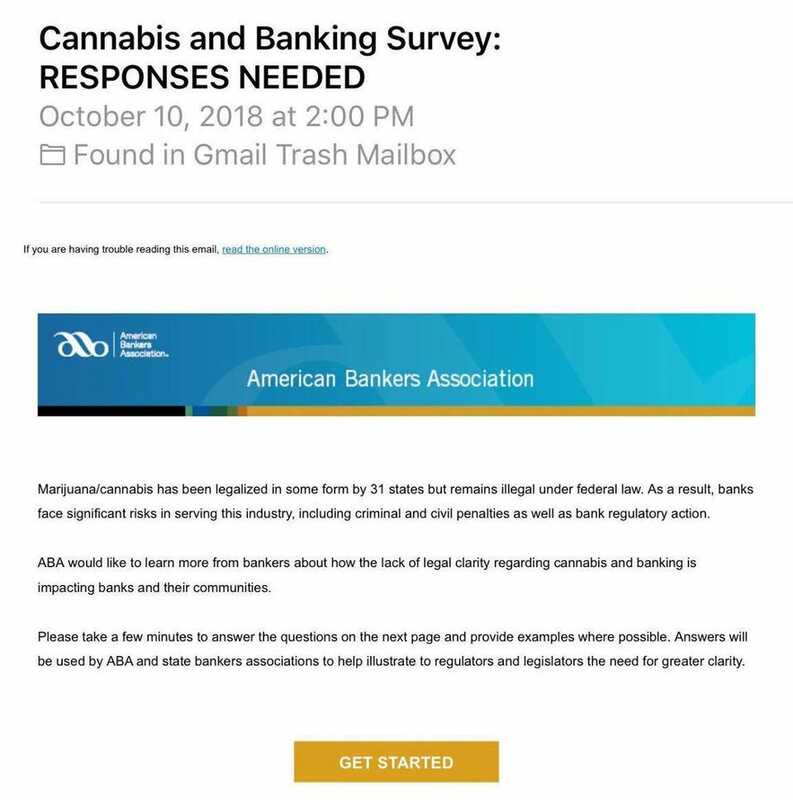 ABA staff did not send comment about the survey and its aims by the time of publication, and this story will be updated if a statement is received. Legalization advocates say that any ABA effort to build support for cannabis reform on Capitol Hill would be welcome. A number of key Trump administration officials have indicated they want to see a clarity on cannabis banking issues. For example, Steven Mnuchin, the treasury secretary, has hinted in congressional testimony that he wants state-legal marijuana businesses to be able to store their profits in banks. In a separate hearing he said that resolving the marijuana banking issue is at the “top of the list” of his concerns. 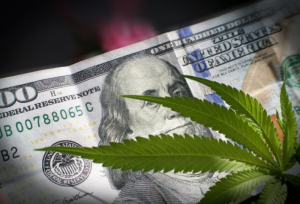 Federal Reserve Chairman Jerome Powell said in June that the disparity between local and national marijuana laws “puts federally chartered banks in a very difficult situation.” “It would great if that could be clarified,” he said. Pressure is also coming from the states. In August, a coalition of the top financial regulators in 13 states sent a letter demanding Congress take action to protect banks that work with marijuana businesses. Despite the growing call for clarity on the issue, key committees in the House and Senate rejected amendments this summer that would have prevented federal banking regulators from punishing financial institutions for serving the marijuana industry. Standalone legislation to provide permanent protections to banks that work with cannabis businesses have garnered increasing numbers of cosponsors in both chambers, but haven’t been scheduled for hearings or votes.